The RAC Foundation has said that ministers should encourage owners to scrap some of Britain's oldest and dirtiest diesel vehicles with financial incentives in order to clean up the air that we breathe. The charity argued that some 30,000 people killed each year in the UK due to dirty air could be saved. The recently published report said that removing fine particles emitted by older diesel engines would have a bigger impact on life expectancy in England and Wales than eliminating all road deaths or those linked with passive smoking. A new scrappage scheme for vehicles that emit high levels of particulate matter and nitrogen oxide - both linked to lung cancer, asthma, diabetes and heart problems – could reduce premature deaths and make life more comfortable for those who suffer with breathing problems. The introduction of more stringent limits on particulate matter would also bring Britain in line with standards set by the World Health Organisation, which are twice as strict as those currently in place. 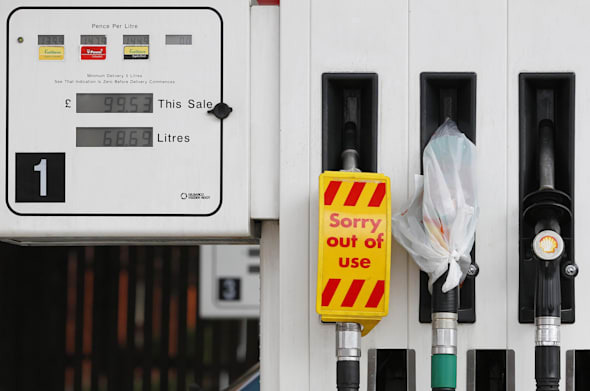 The number of diesel cars has risen from 1.6 million in 1994 to ten million today - which equates to one in three cars – as buyers are tempted by the improved fuel efficiency diesel cars offer. Professor Stephen Glaister, director of the RAC Foundation, told Sky News: "Many people believed that by buying diesels they would get better fuel consumption and help fight global warming through low CO2 emissions. "But such was the focus on the planet that policy makers missed the impact older diesel models in particular have on health in urban areas. "The car industry has risen to the challenge of cleaning up diesel engines but we still need to deal with the legacy of the dirtiest diesels." But a spokesperson for the Department for Transport told The Times: "We have no current plans to introduce a scrappage scheme for older diesel vehicles."